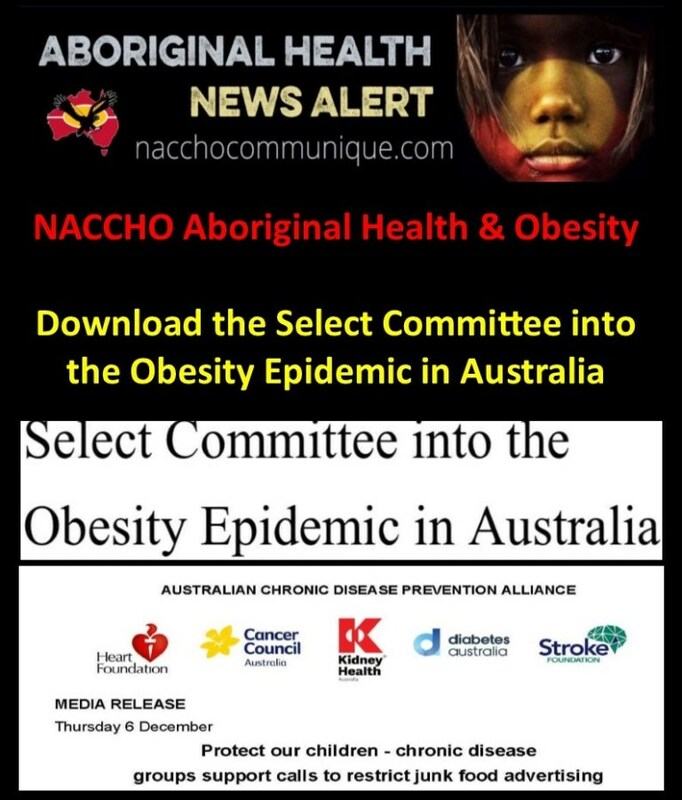 NACCHO Aboriginal Health #Obesity #Diabetes News: 1. 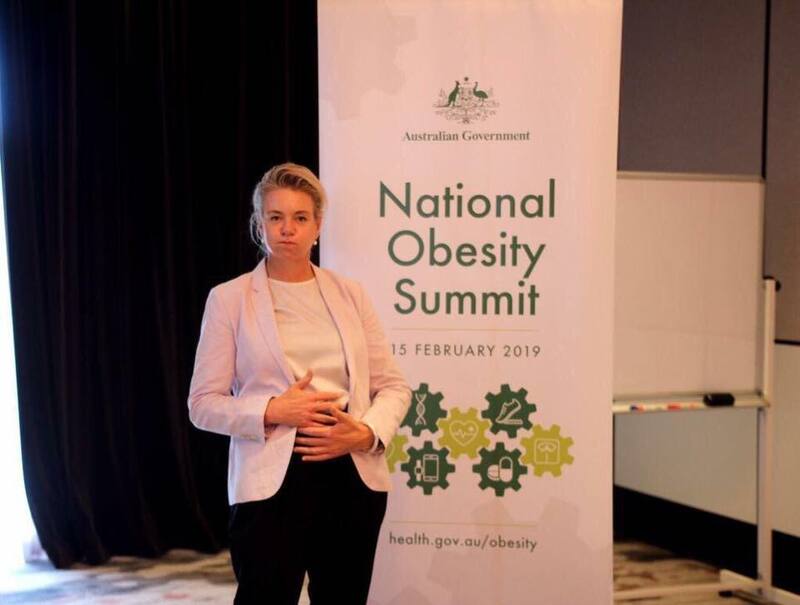 @senbmckenzie report #ObesitySummit19 and 2. 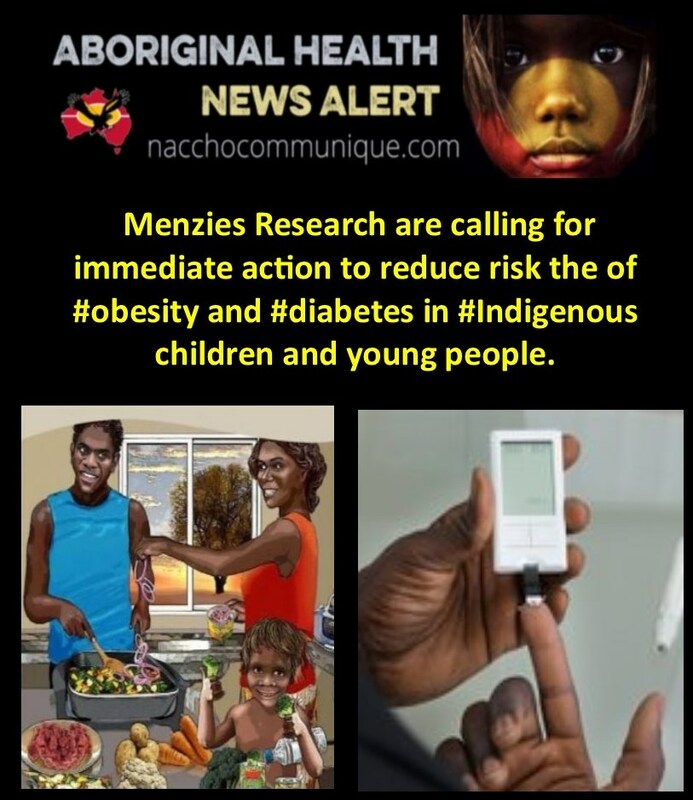 @MenziesResearch are calling for immediate action to reduce risk the of #obesity and #diabetes in #Indigenous children and young people. “ Type 2 Diabetes is a particular concern as there is a global trend of increasing numbers of young people being diagnosed, there is limited data available in Australia but anecdotally numbers are rising rapidly amongst young Indigenous Australians. Childhood obesity and Type 2 diabetes leads to other serious health issues such as kidney disease which then puts a huge burden on families, communities and health facilities. When it occurs at a young age, it is a much more aggressive disease than in older people. It is critical that we act now to prevent this emerging public health issue, with engagement of Indigenous communities in the design of interventions being crucial. ” The latest Australian Bureau of Statistics National Health Survey shows that previous efforts to combat obesity have had limited success. Researchers are calling for immediate action to reduce risk the of obesity and diabetes in Indigenous children and young people. A suite of interventions across the life course are required, targeting children and young people before they develop disease, particularly childhood obesity, as well as targeting their parents to prevent intergenerational transmission of metabolic risk. The in utero period and first 5 years of life are influential in terms of the long term risk of chronic disease, and we propose that identifying and improving childhood metabolic health be a targeted priority of health services. In an article published in the Medical Journal of Australia (MJA) today, researchers have identified childhood obesity and the increasing numbers of young people being diagnosed with Type 2 diabetes as emerging public health issues. Lead author Dr Angela Titmuss, paediatric endocrinologist at Royal Darwin Hospital and Menzies School of Health Research (Menzies) PhD student, says in the MJA Perspective article that collaboration between communities, clinicians and researchers across Australia is needed to get an accurate picture of the numbers involved. This implies that many young people who are being diagnosed with diabetes now will be on dialysis by 30 years of age, with significant effects on Aboriginal and Torres Strait Islander families and communities. Menzies HOT NORTH project is supporting this research through the Diabetes in Youth collaboration, a Northern Australia Tropical Disease Collaborative Research Program, funded by the NHMRC. 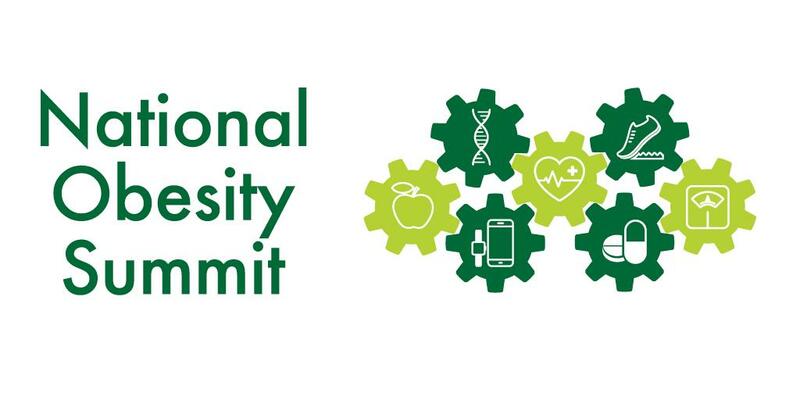 Comprehensive strategies, action plans and both funding and better communication across sectors (health, education, infrastructure and local government) and departments are required to address obesity, diabetes and metabolic risk among Indigenous young people in Australia. The issue of obesity is a matter I take very seriously and would never triavisie it- or to add in any way to stigmatisation. I sincerely apologise for this very unfortunate photo taken as I demonstrated how my stomach felt after scrambled eggs reacted w yogurt I had just eaten. 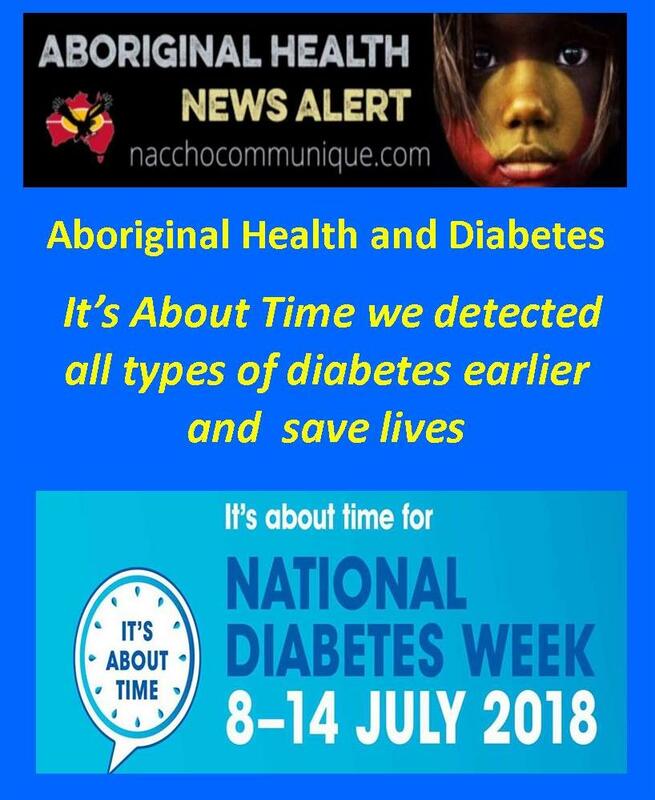 NACCHO Aboriginal Male Health @KenWyattMP A Brave Young Aboriginal Dad’s Lifesaving Messages #diabetes #obesity, leading to #heart and #kidney failure. “Jason strongly but humbly tells it like it is, there is no self-pity, just heartfelt statements of fact that apply to all Australians. He pleads for everyone to re-think alcohol and drug use, including a special message for our Indigenous mob. His words should be heeded by everyone but also reinforce my top Indigenous health priorities: Men’s health, kidney, eye and ear health, maternal and child health and reducing preventable hospital admissions. 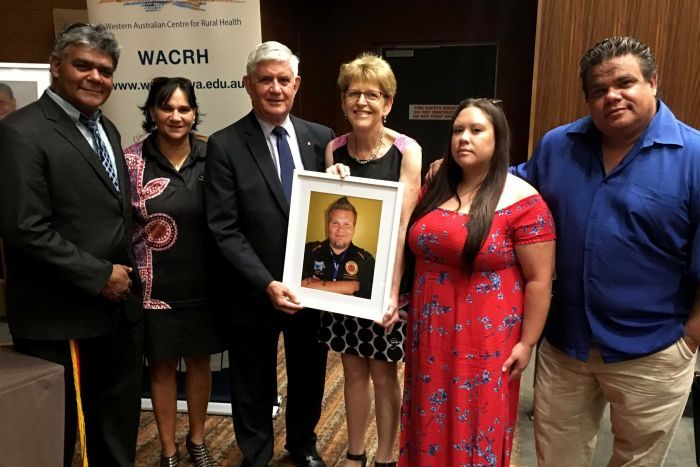 Indigenous Health Minister Ken Wyatt AM paid tribute to his cousin’s bravery, talent, compassion and legacy. A heartbreaking video message has been released today, realising Jason Bartlett’s dying wish to raise awareness of the importance of men taking personal responsibility for their health. The 36 year old singer, songwriter and former television music show star recorded the video nine days before he passed away in Royal Perth Hospital in June, from complications of diabetes and obesity, leading to heart and kidney failure. “In 2009, Jason made it through to the Top 24 on Australian Idol and continued his career after the show, writing, recording and performing with the popular Bartlett Brothers band,” Minister Wyatt said. “We lost Jason shortly after he made the brave but agonising decision to cease dialysis. His final words are haunting and hard-hitting and ones he wanted every Australian to hear. 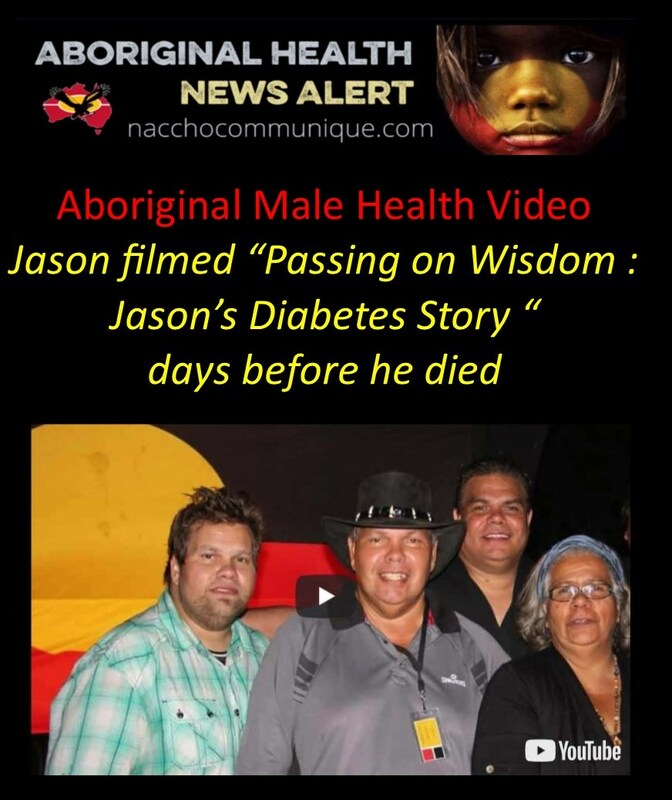 In the video, titled “Passing on Wisdom: Jason’s Diabetes Story”, the father of two tells how he was diagnosed with diabetes at 19 years of age. A combination of lack of health education and ignoring the danger signs gradually lead to a tragic sequence of chronic conditions that eventually took his sight and his mobility. His key message is for everybody, especially men, to look after themselves, so they can be there for their families and friends for as long as possible. “He wants all of us to take personal responsibility, listen to our loved ones and take advice from doctors and health professionals,” said the Minister. “Jason says that looking after ourselves is an essential part of giving love to those around us. “All of us are privileged to have shared in his amazing life and now we’re determined to share his quest to save the lives of others, through his message. “If it can help just one person to make life-changing choices, Australia will be better for it, but I am sure his story will help many more consider changes that will lengthen and potentially save their lives. 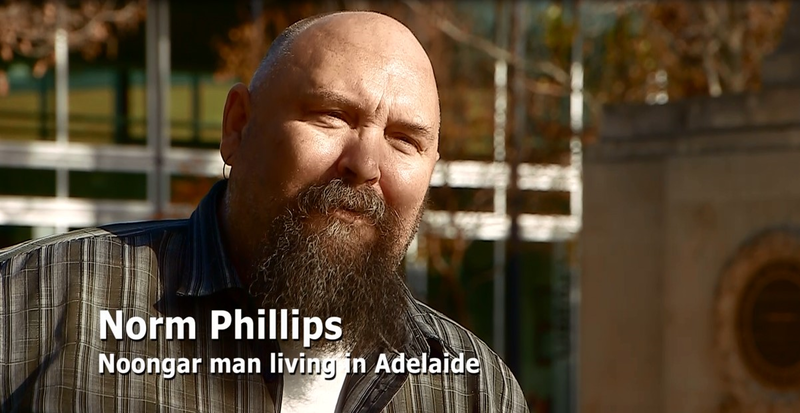 The video was produced by Jason Bartlett’s family, the University of Western Australia’s WA Centre for Rural Health, and media organisation Health Communication Resources. ” It’s World Diabetes Day today and around the global, we’re acknowledging the extraordinary effort of women who are living with or caring for someone with diabetes. 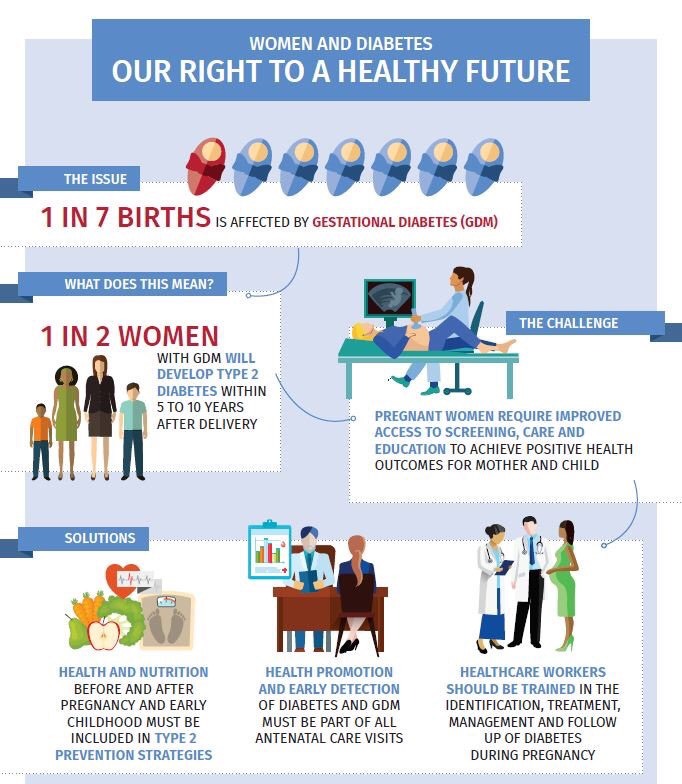 Part 1 : Gestational diabetes – the epidemic posing an immediate threat to thousands of pregnancies, and a future threat to the health of mothers, babies and families. Health experts this week warned of the alarming increase in gestational diabetes which in the past 12 months has affected 38,000 Australian women during pregnancy. 14 November was World Diabetes Day and Diabetes Australia has warned that gestational diabetes is now the fastest growing type of diabetes in Australia. “Importantly, gestational diabetes poses a dual threat – firstly without appropriate management and care, it can be a serious risk to mother and baby during the pregnancy, and secondly it poses a serious future risk for both mother and baby developing type 2 diabetes and other health issues,” he said. A/Professor Alison Nankervis, an Endocrinologist at the Royal Melbourne and Royal Women’s Hospital said the short term complications for mother and baby can be serious, but the risk of complications can be reduced with good treatment and care. “Gestational diabetes is a form of diabetes that occurs during pregnancy and usually goes away after the baby is born. The abnormal blood glucose levels can affect both the mother and baby,” A/Professor Nankervis said. A/ Prof Nankervis said growth in gestational diabetes was already putting pressure on health services with the number of women with the condition doubling at the Royal Women’s Hospital since 2014. “There are a number of factors contributing to the growing rates of gestational diabetes including the age women are falling pregnant, the changing ethnic makeup of Australia’s society, and the weight of women when they fall pregnant. The growth of gestational diabetes has been exacerbated by recent lowering of the diagnostic threshold,” she said. Professor Johnson said diabetes in pregnancy was a major priority in the Australian National Diabetes Strategy 2016-20 but there was still no clarity on the implementation plans from the Australian Government and the State and Territory Governments. “New approaches are needed for pre-pregnancy, during pregnancy, and after pregnancy,” said Professor Johnson. “Sitting back and doing nothing is not an option. This is an avalanche that will bury the health system if we don’t act,” he said. Melbourne mum Karla Jennings developed gestational diabetes during pregnancy and subsequently developed type 2 diabetes at the young age of 30. “I had great support while I was managing gestational diabetes but it wasn’t enough to prevent me from developing type 2 diabetes,” she said. Diabetes Australia is the national body for people affected by all types of diabetes and those at risk. Diabetes Australia is committed to reducing the impact of diabetes. We work in partnership with diabetes health professionals, researchers and the community to minimise the impact of diabetes. 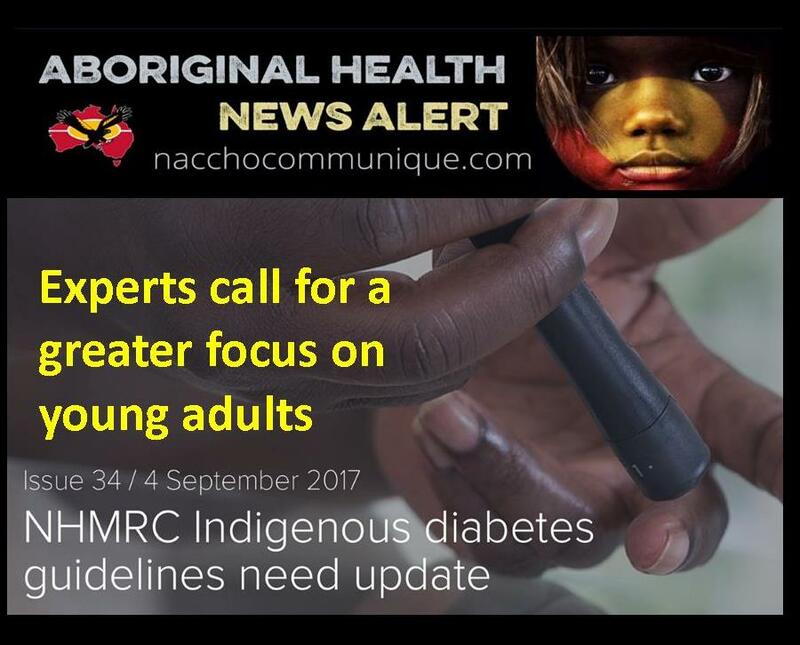 “Early onset of type 2 diabetes is very common in Aboriginal communities following Westernisation, so I agree with the recommendations of NACCHO and the RACGP, which recommended early screening. Whether you do it annually or every 3 years is a less important question to me, and very patient-dependent. Professor Kerin O’Dea, Professor Emeritus at the University of South Australia and Honorary Professor at the University of Melbourne, said that the NHMRC recommendations “really need to be updated”. MORE can be done to increase diabetes screening rates among Indigenous Australians and enable earlier intervention, say experts who are calling for a greater focus on young adults. A study published in the MJA found enormous variation in diabetes screening rates between different Aboriginal Community Controlled Health Services (ACCHSs). The proportion of Indigenous adults screened for diabetes at least once in 3 years – as per the Royal Australian College of General Practitioners and Diabetes Australia (RACGP/DA) guidelines – ranged from 16% to 90% between different services. 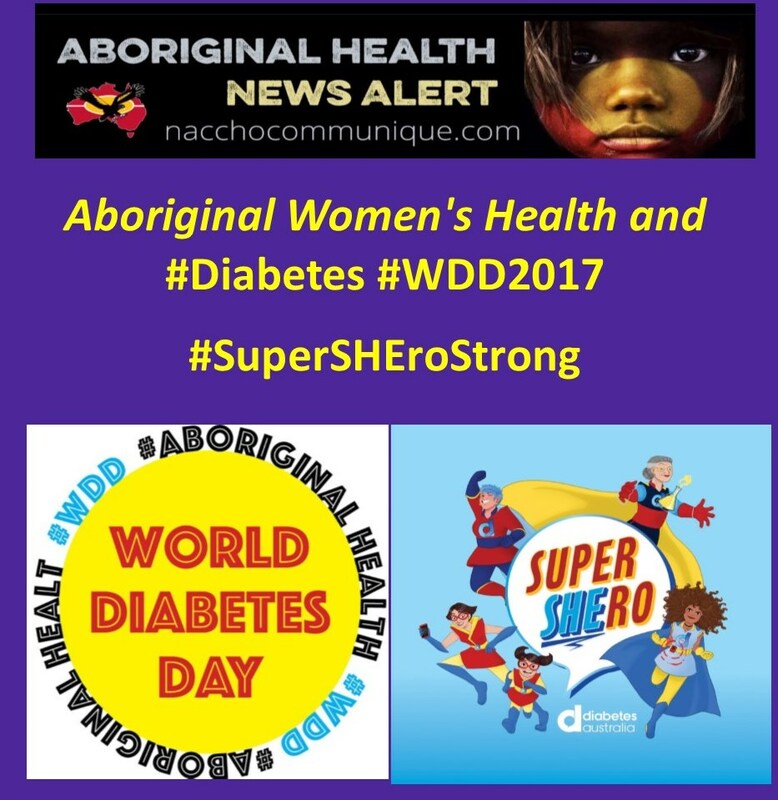 Overall, 74% of Indigenous adults received a screening test for diabetes at least once between 2010 and 2013, the study found, based on de-identified data on 20 978 patients from 18 ACCHSs. 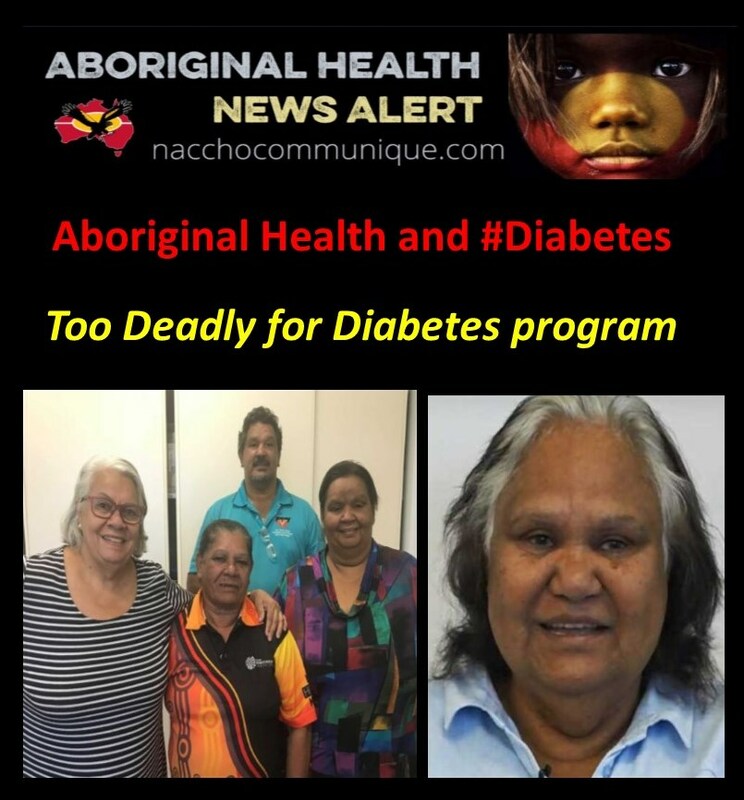 Only 18% of Indigenous adults were tested for diabetes annually, as per the more intensive guidelines by the National Aboriginal Community Controlled Health Organisation (NACCHO), leading the authors to claim that the RACGP/DA guidelines were more practicable. Type 2 diabetes is most commonly found in obese adults who develop increasing insulin resistance over months or years. For these patients there is a substantial ‘prediabetic’ window period of opportunity to offer preventive interventions. Screening for diabetes is safe, accurate and cost effective, and detects a substantial proportion of people who may not otherwise have received early intervention.1 This chapter discusses type 2 diabetes in adults who are not pregnant. The study defined screening tests to include glycated haemoglobin (HbA1c) testing as well as the oral glucose tolerance test and venous glucose level testing. Barriers to screening included being aged under 50 years, being transient rather than a current patient and attending the service less frequently, the study found. The authors concluded that particular attention should be given to increasing the screening rate in these groups. The finding that young people were less likely to be tested was “intuitively reasonable”, the authors said, given that the risk of developing diabetes rises with age. However, they suggested that it was still best practice to test Indigenous adults from the age of 18 years, as it provided a “substantial opportunity for limiting the impact of type 2 diabetes”. Indigenous Australians aged 25–34 years are five times more likely to have diabetes or high blood sugar levels than non-Indigenous Australians of the same age, they noted. 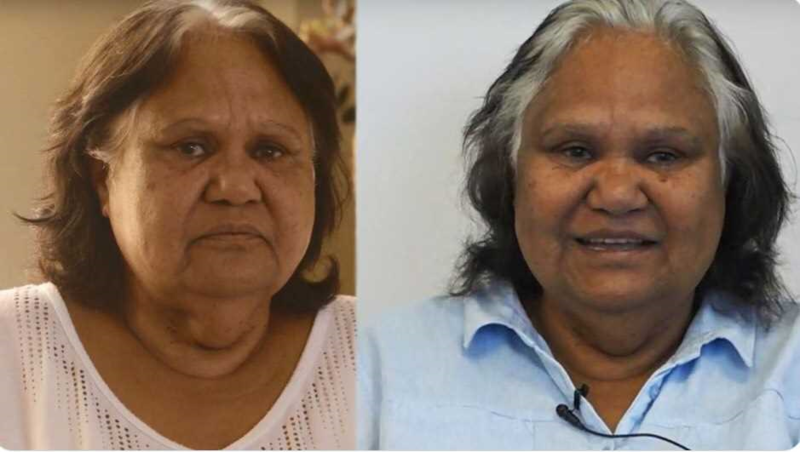 Despite this difference between Indigenous and non-Indigenous people, the National Health and Medical Research Council (NHMRC) only recommends screening Indigenous people for diabetes once they are aged over 35 years, and doing it every 3 years. “Early onset of type 2 diabetes is very common in Aboriginal communities following Westernisation, so I agree with the recommendations of NACCHO and the RACGP, which recommended early screening,” she told MJA InSight. “Whether you do it annually or every 3 years is a less important question to me, and very patient-dependent,” she said. Professor O’Dea said that more widespread use of HbA1c testing could increase the screening rate in Aboriginal communities, particularly among younger people and those who were more transient. “If screening for diabetes was just a simple opportunistic HbA1c test, you wouldn’t have so many problems getting people to have it done,” she said. “HbA1c testing will give you a good idea of the mean glucose level, and unlike the glucose tolerance test, you don’t have to ask the patient to return in the fasting state. “If it does turn out that the patient has borderline diabetes, then you can ask if they are prepared to do a glucose tolerance test,” she added. Study co-author, Associate Professor Christine Paul, said that there was significant variation in the use of HBA1c testing across sites and across time in the study. 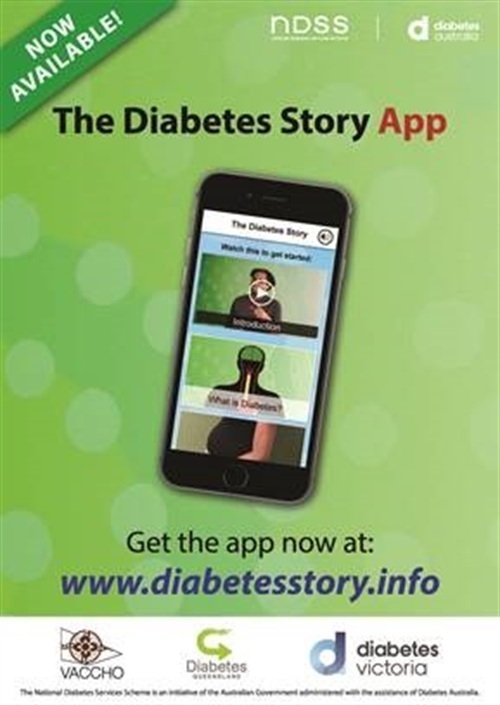 “When type 2 diabetes was first suggested to Norm as the cause of his dizziness, he found it hard to believe. For a while he was in denial, until a blood glucose test confirmed it. “Close the gap is about generational change and there are no quick fixes. Real gains, although small, are already being made in life expectancy and other key areas like maternal and child health. The number of Indigenous Australians affected by the disease is particularly alarming. 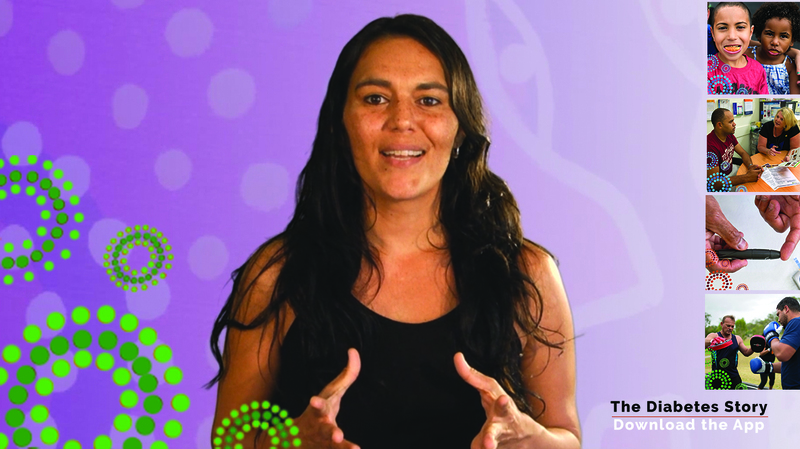 Statistics show that one in six Aboriginal and Torres Strait Islander people (18 per cent of the population) have diabetes or high blood sugar levels. Rates of diabetes are higher in remote areas, and compared to the rest of the population, Indigenous Australians are more than three times as likely as non-Indigenous people to have the disease. “The number of people living with diabetes has almost quadrupled since 1980 to 422 million adults, with most living in developing countries. Factors driving this dramatic rise include overweight and obesity, WHO announced ahead of World Health Day. WHO is marking its annual World Health Day (7 April), which celebrates the Organization’s founding in 1948, by issuing a call for action on diabetes. In its first “Global report on diabetes”, WHO highlights the need to step up prevention and treatment of the disease. Norm is now monitoring his diet and slowly losing weight in an effort to improve his blood glucose levels. He’s determined not to let his diabetes stop him from doing the things he enjoys and urges others in a similar situation not to be ashamed of their condition, especially Aboriginal and Torres Strait Islander people. 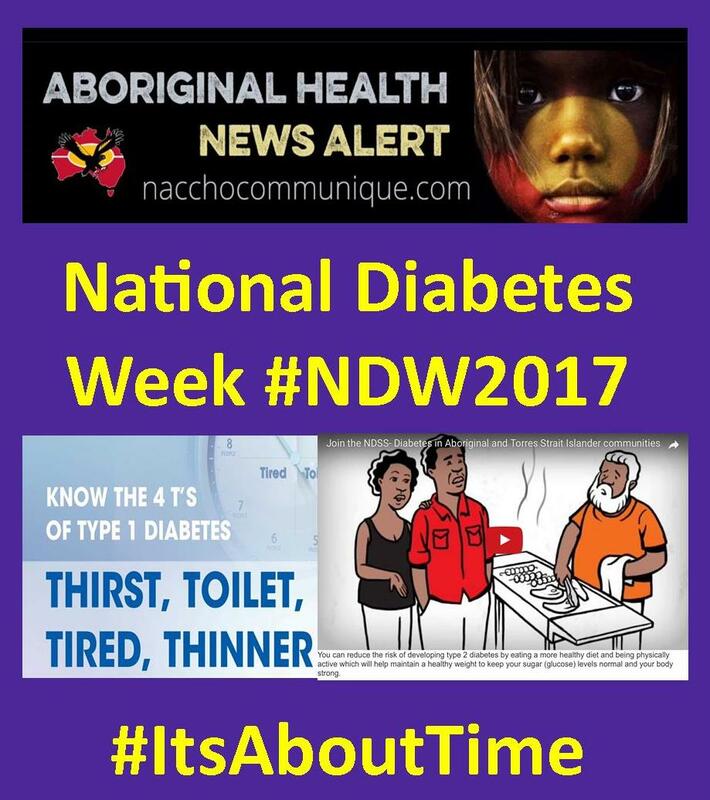 Rates of diabetes among Aboriginal and Torres Strait Islander people are estimated to be three times higher than for other Australians. Norm’s doctor helped him sign up to the National Diabetes Services Scheme* (NDSS) when he was diagnosed, which gave him access to test strips, syringes and pen needles at much lower prices. 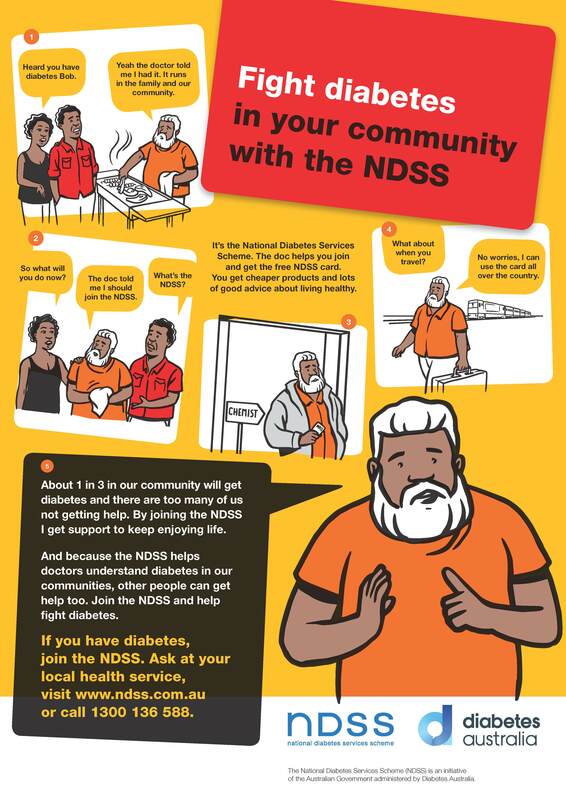 Norm says that more education is needed so that Aboriginal and Torres Strait Islander communities know about the benefits of the NDSS and the range of support services it provides for people with diabetes. As the NDSS support services are targeted in areas with the highest number of registrations, people who register are helping ensure others in their community can get the support they need. In his regular men’s group meetings, Norm says the guys were surprised to hear that his stroke was most likely caused by diabetes. Diabetes educator Michael Porter talks to Norm’s men’s group about health issues every few months. He often encourages men at the group to get tested, and if they have diabetes, to register for the NDSS. 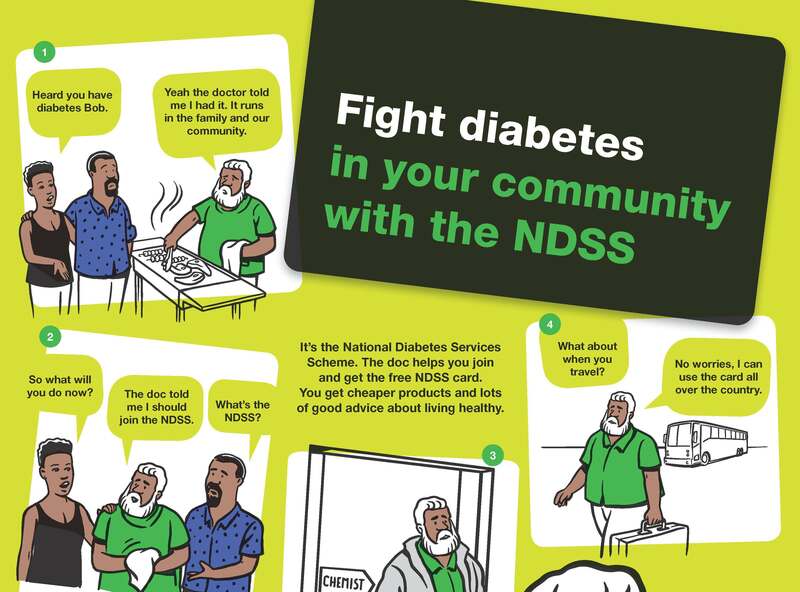 “Joining the NDSS can help fight diabetes in Aboriginal and Torres Strait Islander communities. Anyone with diabetes can sign-up and get access to free and discounted products to help them live well with diabetes. The NDSS card also gives people access to education sessions and support groups, which can really help them make changes to get their health back on track. 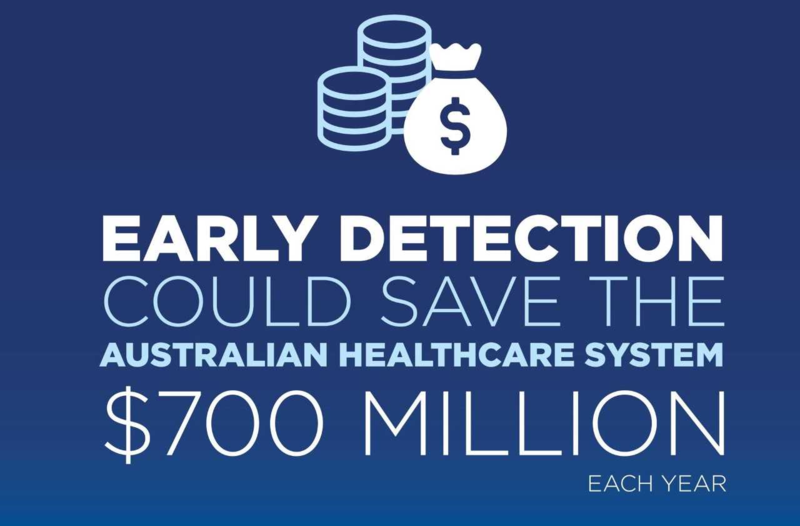 World Health Day is a timely reminder of the importance of delivering proper funding for the government’s recently announced health care home trials, Australian Healthcare and Hospitals Association (AHHA) Chief Executive Alison Verhoeven said. 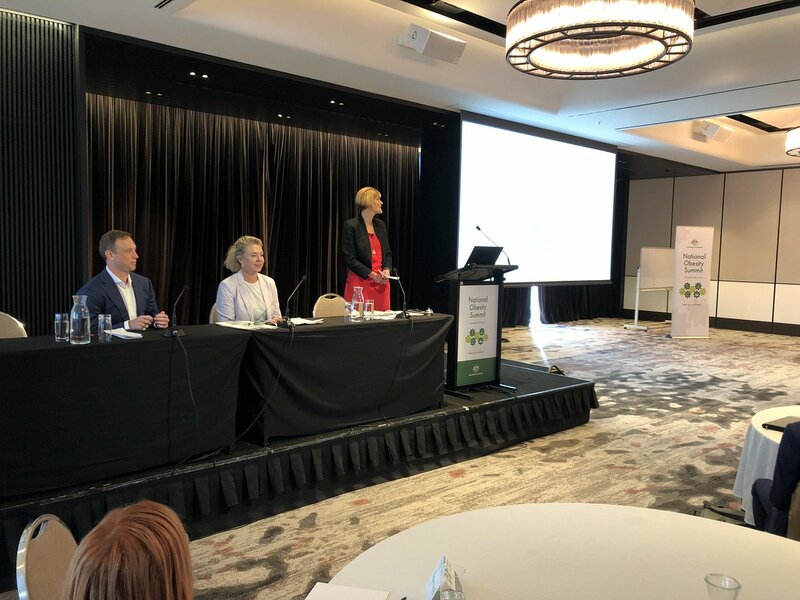 “This year World Health Day is focused on beating diabetes, a disease which affects up to 1.7 million Australians according to Diabetes Australia figures,” Ms Verhoeven said. The proposal for Healthier Medicare included allocating an additional $21 million to the package, in addition to withholding $70 million in state hospital funding, to pay for the reforms. However, the AHHA has called on the government to consider alternative funding methods, including drawing money from the Medical Research Future Fund to support and evaluate the trials. “The allocated funding is insufficient to fully implement the Healthier Medicare reforms,” Ms Verhoeven said. The AHHA also urges the government to consider preventive measures to halt Australia’s climbing obesity rates, to help reduce the growing burden of two of Australia’s most common chronic conditions – diabetes and heart disease. “If funding is withheld from hospitals, reducing preventable hospitalisations will become a vital part of ensuring the health system does not become overburdened,” Ms Verhoeven said. There remain questions over which approach the Commonwealth Government will take to tax reform and funding of the health system. The AHHA has called on state, territory and Commonwealth governments to proceed carefully on tax and health system reform and ensure there remains a consistent capacity for funding quality health services across all states into the future. “The number of Indigenous Australians affected by the disease is particularly alarming. 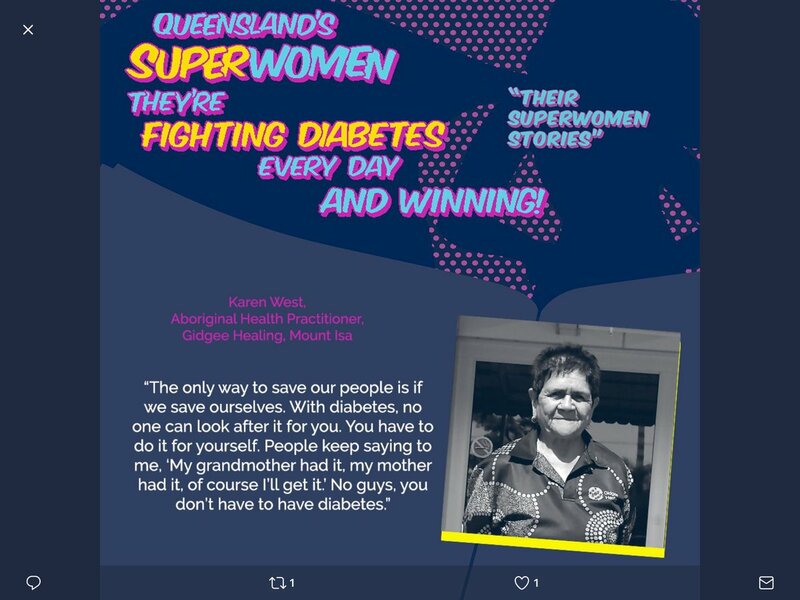 Statistics show that one in six Aboriginal and Torres Strait Islander people (18 per cent of the population) have diabetes or high blood sugar levels. The prevalence of diabetes, particularly Type 2, is rapidly increasing around the country. These maps show just how far it has spread, and the physical toll it is taking. 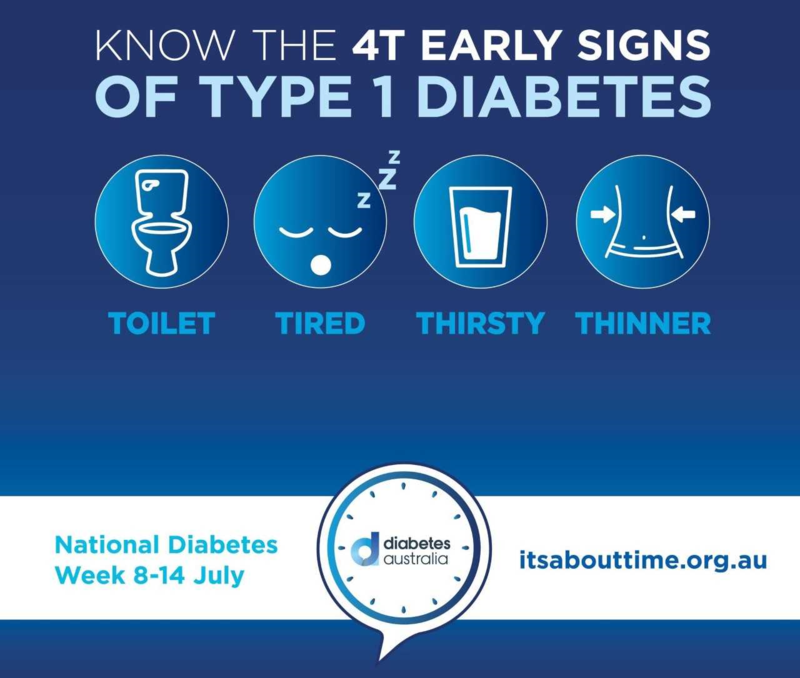 Every five minutes, someone in Australia is diagnosed with diabetes. That’s 280 people, every day. Of those cases, it is estimated 85 per cent of them are being diagnosed as Type 2 diabetics. 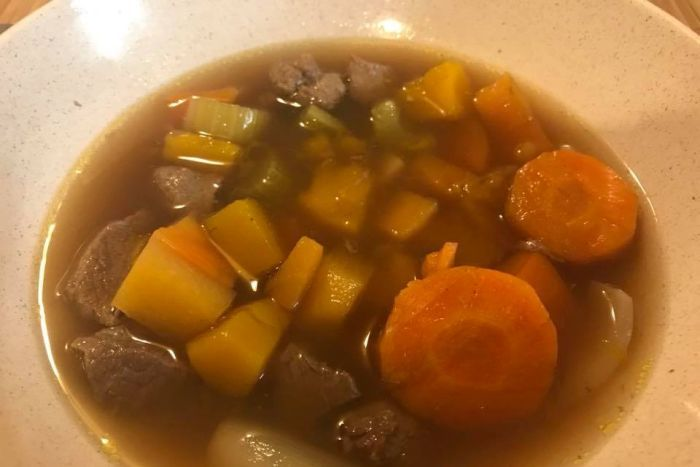 It’s the form of the disease that is arguably most preventable, caused when the body becomes resistant to the effects of insulin, or cannot produce enough of the hormone, produced by the pancreas to keep the body’s blood sugar levels under control. This week, Insight is looking into this particular strain of the disease. Who is vulnerable, what are the causes, where does it occur, and is it preventable? Diabetes Australia has developed an interactive map that shows how widespread the disease is, based off data provided by registrants to the government’s National Diabetes Services Scheme (NDSS). Light blue parts of the map show electoral districts where diabetes has a low rate of occurrence in the population, through to dark red where the disease is highly prevalent. 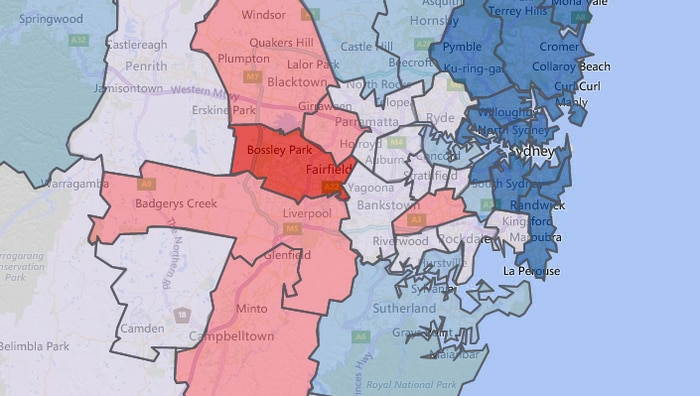 In Sydney, more affluent suburbs in the east have a very low rate of diabetes, whereas people in the west, in areas around Fairfield, Blacktown and Liverpool, are much more affected by the disease. In the suburbs around Wetherill Park, 8.3 per cent of the population are signed up for the scheme. Disadvantaged areas are more likely to see cases of diabetes, and people from particular ethnic backgrounds – including Indigenous Australian, Pacific Islander, Chinese and sub-continental India – are more susceptible. Does your area have a greater rate of diabetes? Find out here. The number of Indigenous Australians affected by the disease is particularly alarming. According to the NDSS map, over 10 per cent of the population around Alice Springs suffers from diabetes. A greater rate of diabetes comes with a higher likelihood of its associated complications: heart disease, stroke, amputation and blindness, to name a few. The map below shows the rate of diabetes-related, preventable hospitalisations in the year 2013-2014. In areas with large, remote Indigenous populations – northwest WA and central NT – there were over 800 hospitalisations.